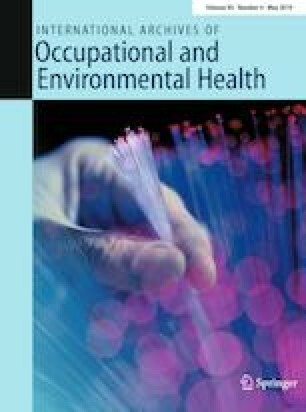 The aim of this study was to examine whether less than 11 h between shifts (i.e., quick returns, QRs) and night shifts is associated with self-reported work-related accidents, near accidents or dozing off at work in a sample of nurses. The study was based on cross-sectional data from 1784 nurses (response rate = 60%; mean age = 40.1 years, SD = 8.4; 91% female). Negative binomial regression analyses were conducted to investigate the association between the shift exposures, and eight different self-reported work-related items on accidents, near accidents and dozing off at work, controlling for demographics and work factors. The number of QRs during a year was positively associated with seven of the eight items on work-related accidents, near-accidents and dozing off at work, and number of night shifts was positively associated with five items. Some of the key findings were that QRs were associated with nurses causing harm to themselves (incidence rate ratio [IRR] = 1.009; 95% CI = 1.005–1.013), causing harm to patients/others (IRR = 1.006; 95% CI = 1.002–1.010) and causing harm to equipment (IRR = 1.004; 95% CI = 1.001–1.007); while night shifts were associated with nurses involuntarily dozing off at work (IRR = 1.015; 95% CI = 1.013–1.018), dozing off while driving to/from work (IRR = 1.009; 95% CI = 1.006–1.011), and harming patients/others (IRR = 1.005; 95% CI = 1.001–1.009). QRs and night shifts were both associated with the self-reported work-related accidents, near-accidents and dozing off at work. Studies that can establish the causal relationship between QRs and accidents are called for. The study was partly funded from Nordforsk, Nordic Program on Health and Welfare (74809).